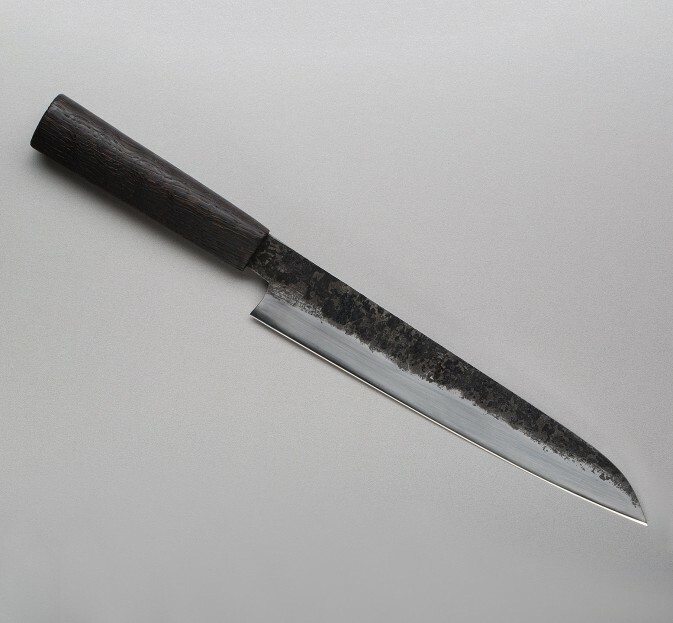 This one-of-a-kind knife is hand forged from house-made san mai steel consisting of XC10 carbon steel jackets and "super clean" 145sc for the edge. 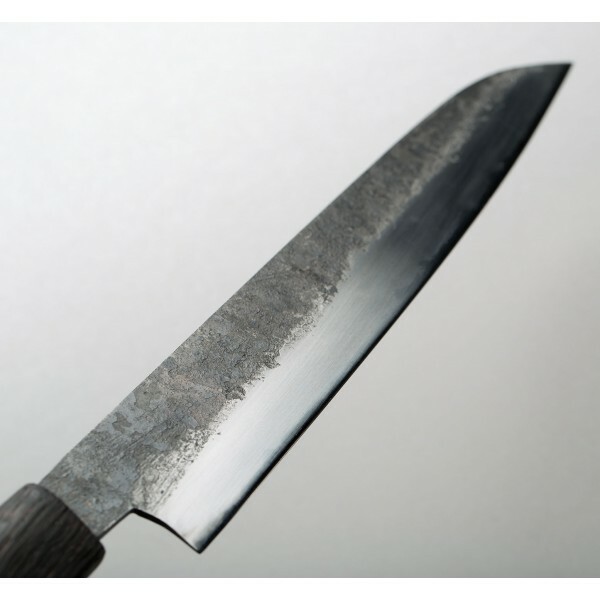 The ultra-pure, low-alloy carbon steel is especially well suited to the hard, sharp, and thin edge of a kitchen knife designed for slicing fish and other proteins. At 210mm, approximately 8.25" of cutting edge, this is an extraordinary medium-sized knife from an exemplary bladesmith. 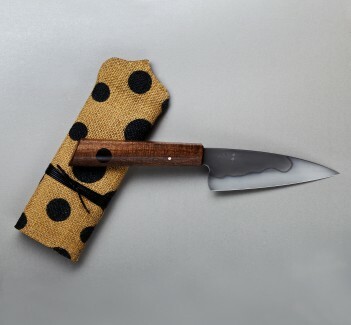 The natural look and lightweight, textured feel of the burnt oak handle provide excellent comfort and grip. 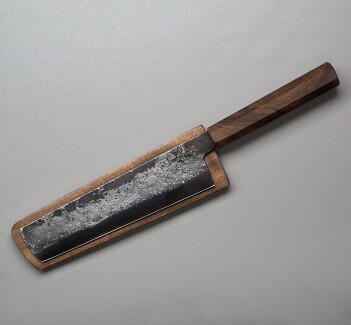 Blacksmith Bryan Raquin forges not only the knife blades but also the san mai steel itself, hammering each blade by hand to achieve the ideal profile and dimensions. 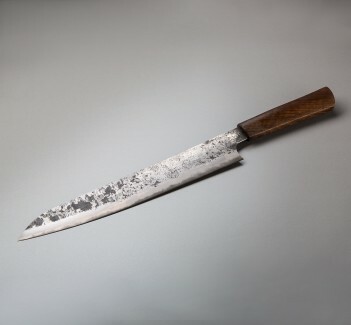 Designing and creating knives for professional chefs and home kitchen warriors at his small shop in southern France, Bryan is a talented artist whose talent and skill is evident in each tool he builds. We're fortunute to represent Bryan's work.